power generation margins and fixed costs containment. • Growth of net income mainly due to EBIT increase and lower net financial charges. the first quarter of 2017 in accordance with the International Financial Reporting Standards (IFRS). − higher regulated power sales due to the tariff increase enforced as of July 2016. − fixed costs decline mainly due to efficient overhead management activities. • The increase in EBIT reflected EBITDA growth. early repayment of a loan with Royal Bank of Scotland. due to the stronger rouble. 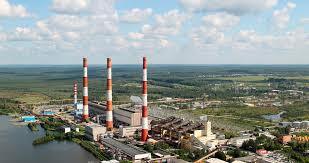 − Reftinskaya output increased by 1.6% thanks to higher availability of the equipment. Operator caused by overcapacity in the Urals region. • Power sales were up due to the abovementioned dynamics of net power output.